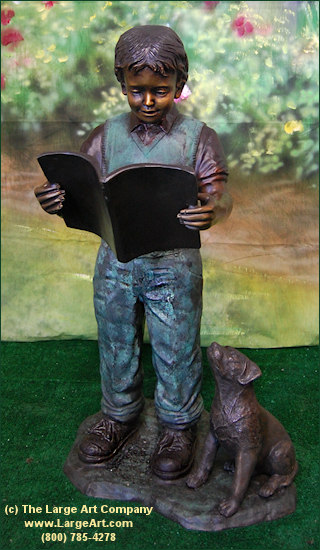 A lovely sculpture of a life-size boy reading a book with his puppy by his side. We have cast these ourselves using high quality American bronze. This sculpture would look great at a school or library. It is intended for outdoor display and will last for hundreds of years with little maintenance. Measurements: 37" tall by 21" wide and 24" deep.